Welcome to the DIMER NBA 2K League Weekly Preview. We’re going to have quick breakdowns of every matchup for every week of NBA 2K League action, capping it all off with a Game of the Week and a Player to Watch. Games sorted in chronological order, with the Game of the Week bringing up the rear. Jazz Gaming appeared to be one of the teams still trying to figure things out at the Tipoff, but was still able to split both games with a win against Bucks Gaming and a loss against Blazer5 Gaming. It’ll be interesting to see how much the Jazz have developed with a brief turnaround period to figure it all out. Pacers Gaming, on the other hand, saw a bit more success at the Tipoff. The Pacers qualified for the knockout stage, and although the tournament ended sooner than the Pacers probably hoped, it has plenty to build from. There is still a lingering issue guarding the hash opposite of WoLF, and that needs to be fixed as soon as possible. The Hawks enter the regular season slate still looking for their first win of the year. While the team suffered a 21-point loss at the hands of Warriors Gaming Squad at the Tipoff, the Hawks showed signs of life in a much closer bout with Pacers Gaming. But the team may still need to figure out its backcourt configuration, and an opening week matchup with Tipoff runners-up Celtics Crossover Gaming will make it tough for them to find all the answers. The Celtics have questions of their own. The team made a big run to the finals of the Tipoff tournament with big wins in the knockout rounds over Pacers Gaming and Heat Check Gaming, but it found out quickly what happens when ProFusion isn’t going on offense. Head Coach Ricco Phinisee has some work to do in order to create a more balanced attack. Thankfully, oFab looks to be on his game this year, making such a task a lot easier to handle. The Pistons, still without New Zealand guard Jaacko, are looking to rebound after a disappointing Tipoff tournament. Detroit needs lockdown defender Insanity to hold at least one of the Warriors’ potent backcourt players in check, while guards MrStylez and Splashking have to match the scoring output of their opponents. For the Warriors, a good game from second-overall pick Gradient should give them a clear advantage. BSmoove had a breakout game against the Pistons at the end of last year, and if he replicates that, along with a little help from new point guard CB13, Warriors Gaming Squad should walk out of this one with a win. Surprise, the Bucks won their group! With a convincing win over Blazer5 Gaming, Milwaukee made a statement last Friday. The sharpshooting trio of ChaddyNick, ARooks and BigMeek combined with the defense of Plondo and energy of SlayIsland makes for a team that looks much more potent compared to last season. It’s up to the Bucks to carry that momentum into the regular season, and they have a good opportunity to prove last week wasn’t a fluke with a match against T-Wolves Gaming. The T-Wolves, meanwhile, handily won Group 3 and may have shown that they’re the expansion team to beat this season. The charged up starpower duo of BearDaBeast and Hood brings both a scary scoring punch on the court and an entertaining presence off of it. If last week was any indication, this will be a fun team to watch. They can’t sleep on a plucky Bucks Gaming, though. A Group 1 rematch makes its way to week one. Cavs Legion GC got the better of the Raptors last Tuesday with a balanced scoring effort and a defense which kept first-round pick Doza in check. Strainer showed he could be a budding star in this league with 29 points in two games, thanks in part to what looks to be a deadly pick and roll duo between him and Sick x 973. The Cavs can get offensive production from all five positions, and they’ll need it against the double lockdown defender composition of Raptors Uprising. It’s that double lock setup which will make the Raptors an interesting team the first few weeks. Outside of its debut 62-point performance against Mavs Gaming, Toronto eked out 47 and 42-point efforts against the Cavs and Magic Gaming. The onus will be on Doza, All Hail Trey and KingQuai614 to come up with the bulk of the team’s offensive production. If those three can do that and OOCSlim and Kenny can frustrate opponents on defense, look for the Raptors to win some games. That’s the biggest “if” of this team, though. This matchup was interesting to nobody prior to the Tipoff tournament. Fast forward to the conclusion and this is now a must-see. The Bucks shocked many with its upset over Blazer5 in the group stage of the Tipoff. Look for a motivated Blazer5 to come into this game looking to prove the initial loss to Bucks Gaming was a fluke. Look for Bucks Gaming to come in determined to prove the opposite. The Magic burst onto the scene with an impressive Tipoff showing, but they know they’ll have to sustain their high level of play against an agile, innovative Cavs Legion team. KingCamRoyalty has been the league’s best rebounder so far, but the Magic’s fortunes hinge more on their backcourt, as the team looks to get Reizey’s shooting going and sustain UCManny’s defense. oLarry is back and better than ever, providing the Legion’s defense with some unorthodox looks, but it’s the rookie Strainer who turned heads at the Tipoff with his offensive skill. The team needs more out of point guard LYKaPRO, and new coach Austin Peterson is the man tasked with getting the best out of the Cavs’ veteran group. It’s a clash of high-powered expansion teams, and Lakers Gaming is eager to demonstrate their own version of Showtime against one of the most electric teams in the league. While second-round pick Kev looks good at shooting guard, the jury’s still out on the point guard Vert, shooting guard Kontrul lineup; a win in this game will go a long way toward solidifying that look. When the T-Wolves stick to their gameplan, they’re one of the scariest teams in the league, with a talented frontcourt and a backcourt duo in BearDaBeast and Hood that could score 50 on any given night. The brunt of defensive work falls on Turnupdefense and Feast, though, and those two need to stay consistent to keep the T-Wolves in the hunt. It’s the Dimez show in Dallas, and the Mavs are eager to rebound after last year’s difficult regular season. The Mavs need Mo’s scoring as a secondary ballhandler, but more important may be PeteBeBallin’s performance against star Grizz big man AuthenticAfrican. Vandi knows he needs to play well after struggling in the Tipoff, and a stellar performance against Dimez is just what the doctor ordered. Without more offensive creativity and inspired defense, though, the Grizz might be in trouble, although sharpshooter JROD could be primed for a big game. Kings Guard seems like a team determined to get over its off-court woes. The Kings have the talent, but in this league it’s proven that talent alone won’t provide any success. The Kings shot a combined 46% from the field and 31% from 3-point range at the Tipoff. A team counting more on its offense to pull it out of matchups, it will need to see that efficiency take a boost. NetsGC really made a statement with its win over Knicks Gaming at the Tipoff. Although the Nets didn’t look quite as good against Magic Gaming, the Nets were still a controversial game-tying 3-pointer away from moving onto the knockout rounds. Look for NateKahl to dictate the game in this matchup as he defends BP, the first point guard taken in the season two draft. What better way to test your two locks than with a date with the Tipoff champs? It takes more than just two good defenders to beat the 76ers, though, and the Raptors will have to bring their “A” game (as every team does when they face the 76ers) if they want to win this one. Doza doesn’t need to go punch-for-punch with Radiant, but a good shooting night from him would go a long way in this one. Meanwhile, the 76ers begin their championship campaign with a tough early test against a fellow knockout-round team in the Raptors. How Jeff Terrell and co. handle the double locks will be interesting, though if you’d pick a team to be ready for such an opponent, it’d be Terrell and the 76ers. The team will also have to make sure it doesn’t suffer a post-Tipoff letdown after an emotional tournament. The Wizards have had a difficult transition to the regular season, compounded by the announcement of Esports Director Grant Paranjape’s departure last week, and they know they’ll need more than a last-second layup to win. This might be the perfect game for the Wizards to settle in and get their scoring going against another team that has had a rocky start to the year. The Kings have a lot to play for after their unlucky placement in the Tipoff “group of death,” in which they went 0-2. Can they get second-round draft pick BallLikeSeem more engaged in the offense, or will they fall prey to slow adjustments keyed by an overwhelmingly new squad? Magic Gaming made an impressive run all the way to the semifinals in the Tipoff, falling to the eventual champs. The team did it with Herculean performances from KingCamRoyalty (three 19-rebound games!) and its defense. UCManny looked comfortably like one of the best lockdown defenders in the league. If the team keeps up how it played in the Tipoff, look out. Nets Gaming will feel a little spurned after exiting the Tipoff in the group stages after Knicks Gaming practically begged the Magic to tie the game at the end of regulation in their matchup, with the Magic eventually winning the game and the group, knocking out the Nets. Wavy will need more of his 17-point performances as he had against the Knicks than his 0-point, 0-for-6 from the field performances he had against the Magic. His production will be the key to the Nets’ season. 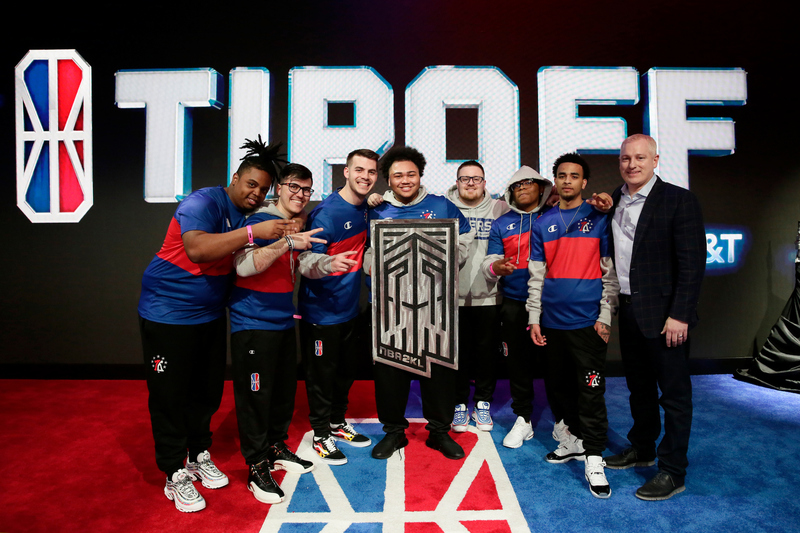 Knicks Gaming looked like it experienced more of a hangover than an encore to its season one championship run at the Tipoff tournament last week. The Knicks were outclassed by NetsGC, led by former teammate and 2018 Finals MVP NateKahl, in its first game. Yet, the Knicks still had a chance to split its games. Knicks Gaming allowed a controversial game-tying 3 to send the game to overtime against Magic Gaming. The question is how quickly can the Knicks get over their shortcomings and look ahead to the regular season. Heat Check Gaming had a bit more success at the Tipoff tournament. Although the Heat lost to the Celtics in the semifinals, they have plenty to be optimistic about. This time last year, the Heat were still struggling to figure out the pieces to the meta puzzle. The roster this year seems to be light-years ahead of that roster in season one. The Knicks are looking to prove they’re still a viable title contender, while the Heat are looking to capitalize on momentum. Look for this game to be electrifying on the stage and in the game. How can Bear not be your player to watch? The rookie point guard provided the most entertaining interview of the new season at the Tipoff, and also—for the most part—made his play on the court match his fireworks off it. He averaged over 17 points and 5 assists in three games in the Tipoff and showed just how explosive his backcourt pairing with Hood can be. He even got a shout-out from NBA player Evan Turner in his first week of competition. The T-Wolves have two games this week, against Bucks Gaming and Lakers Gaming. Neither has a player of Bear’s vociferousness nor a lock more capable on paper. The Bucks made their own statement by winning their group thanks to an upset of Blazer5 Gaming, while Lakers Gaming has, by virtue of their Lakers-ness, the whiff of Showtime and the Los Angeles aura. But Bear represents both those ideals: the irrepressible underdog and the glitz-and-glam star. He’s got the chance to win over both constituencies in week one, as well as add some more clips and sound bytes to his rapidly expanding season-one highlight reel.